London-based O’Donovan Waste Disposal is investing £80,000 in telematics monitoring equipment for its vehicles to help improve driver performance. The company aims to set a benchmark for commercial vehicle management and support its Greener Vision strategy. Bespoke telematics technology by Concepts-Online has been fitted to 75 vehicles so that driver behaviour can be monitored in real time and driving patterns can identified. The equipment will enable O’Donovan to analyse driving style, speed, braking, cornering and idling. The data obtained will allow the company to train and educate its drivers on the most economical, safe and green driving techniques. Jacqueline O’Donovan, managing director, said: “Telematics systems bring benefits for fleet managers and drivers alike, helping them do their jobs more effectively and safely as well as being more environmentally friendly.” The £80,000 investment will be spent over three years. London-based Greenline Environmental, which offers a 24/7 waste collection and disposal service, has modernised its operations with paperless PDAs for drivers, a bespoke software system and the introduction of a pay-by-weight service for trade waste collections. 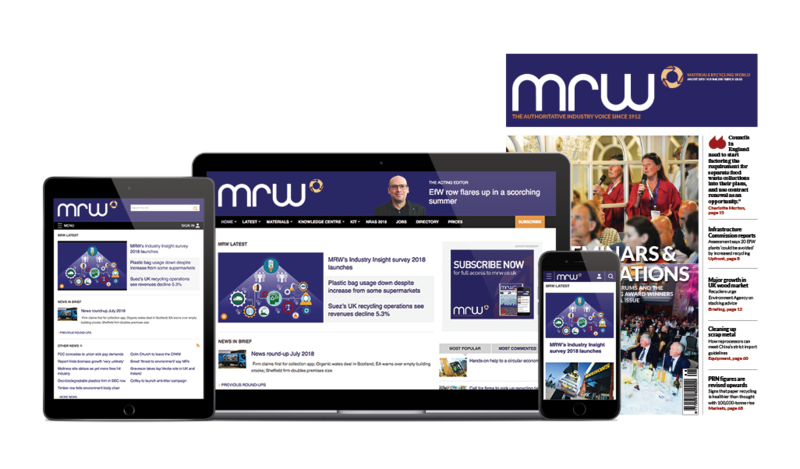 Entries for the most prestigious event of its kind in the sector, MRW ’s National Recycling Awards, will need to be submitted by 1 March -– so there is still time put yourself forward. A Teesside man must pay fines and costs of almost £6,000 for breaching an environmental permit and failing to comply with an enforcement notice.